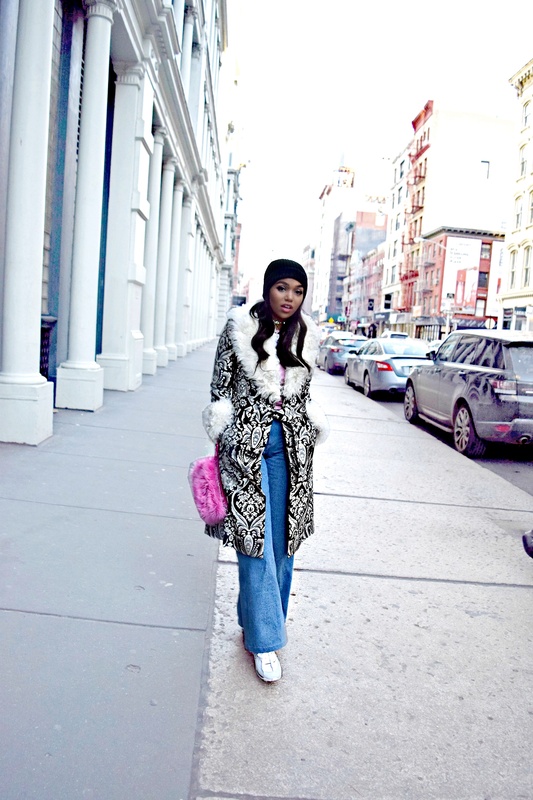 Today I wanted to share another one of my New York Fashion Week street style looks. 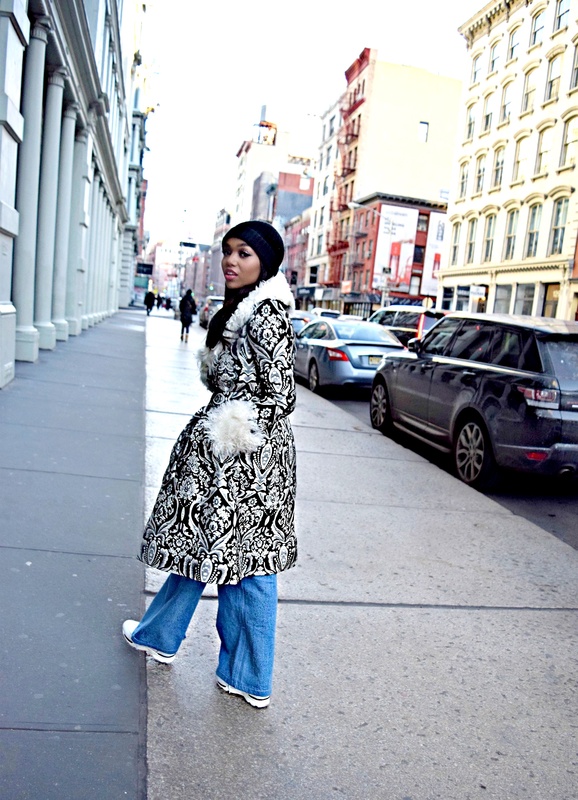 Yes, yes I am still reminiscing and trying to get ALL the content I have from nyfw out there to you lovely readers! This much content just goes to show you all how much I really did during fashion week, as I’ve said It was non-stop! I want to make sure I can share all of my looks and experiences with you all after all that is what a blog is for right? Make sure and catch up with the rest of my NYFW Diary here! Most importantly don’t forget to watch my NYFW ’16 Video Diary HERE! 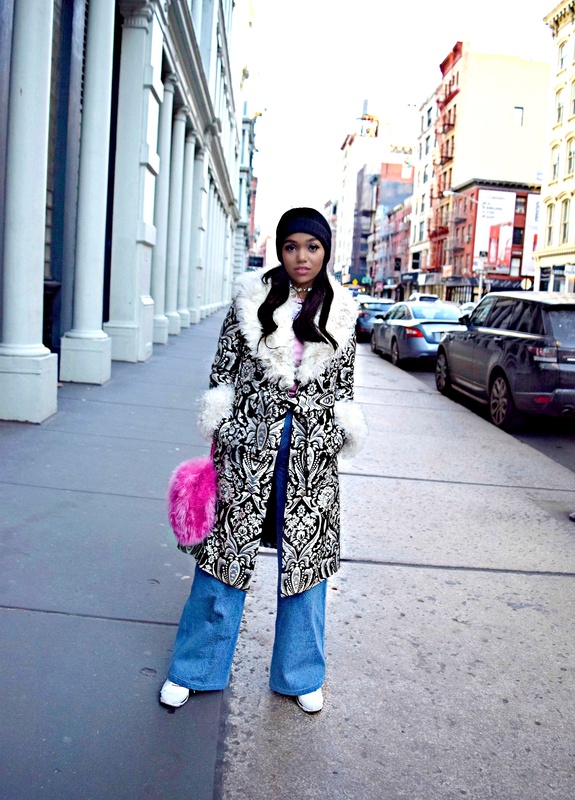 This look was definitely one of my favorites during New York Fashion Week and it also happen to be worn on the coldest day of my trip, I’m pretty sure it got down to an outstanding 9 degrees, something a Southern Californian is not at all used to. Getting to dress up in coats and fur however, is a lot of fun for me as it is a rarity. This particular outfit also seemed to catch the eye of a lot of street style photographers which I was over the moon about. Having never attended fashion week I haven’t had loads of street style photos taken of me other than at Coachella and other fashion and industry events. I think what it takes to get noticed and become a street style star is just to do your own thing! Wear something different or style something in an unusual way to really stand out from the crown. Dressing and looking like everyone else is boring so have fun with your outfit and you won’t go unnoticed I promise! Subscribe to my blog for updates and emails about new posts!